Tally's products are designed to adapt to meet specific business challenges for your industry. Install and try the trial version for free. Tally.ERP 9 Release 6.5.1 was launched on 25th March 2019. We have made a few enhancements in the product to support the latest statutory changes. Below are the highlights of Tally.ERP 9 Release 6 series. For your convenience, you can now record Fixed Assets purchases in account invoice mode as well. This was earlier possible only in the voucher mode. Create a Round off Ledger and select Invoice Rounding as the type of ledger. While creating invoice and upon selecting this ledger, Tally.ERP9 will auto calculate the difference value. When you create the invoice before transporting goods, Tally.ERP 9 captures all the necessary details required to capture e-Way Bill. You need not re-enter these details in the e-Way Bill portal again. Just export the invoice in JSON format and upload to the portal for generating e-Way Bill. Enter e-Way Bill Number (EBN) in its corresponding invoice, print the invoice and hand it over to the transporter. You can export JSON file for a single invoice or for multiple invoices together in one go. If the mode of transport, vehicle no., place of supply and State are same for a given set of invoices, you can group invoices accordingly and generate a single JSON file for a consolidated e-Way Bill. But first, you must generate e-Way Bills for each invoice as a prerequisite. Tally.ERP 9 identifies invoices for which e-Way Bills are yet to be generated. You can add, modify, delete, consolidate and track e-Way Bills against invoices.Tally.ERP9 also shows which details are missing in the invoice for the purpose of generating e-Way Bills. You can generate e-Way Bills on behalf of your supplier or transporter; or in cases of purchases and also for credit notes, delivery notes and receipt notes as well. 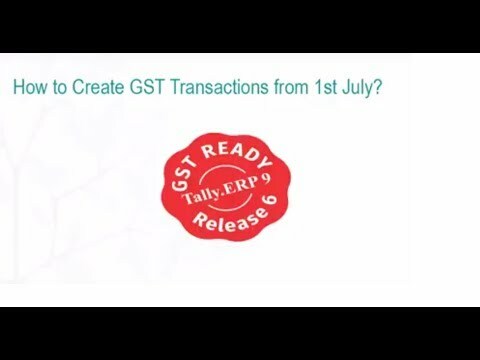 Watch this video to find out how to use Tally.ERP 9 to generate e-Way Bills . The latest version under Tally.Server 9 Release 6 series is Release 6.4.6, which was launched on 5th July, 2018. Download and experience Tally.Server 9 Release 6 for GST. It will take just a few minutes as always. For more details about the product and features, visit TallyHelp. Shoper 9 is an one-stop software to manage all your retail needs. 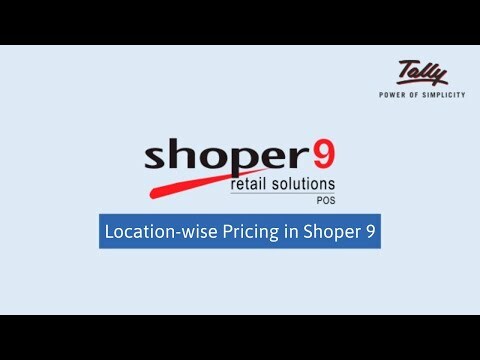 Shoper 9, trusted by several brands across geographies, provides to you high level business capabilities suited to meet your day-to-day transactional and analytical business needs. Tally.Developer 9 Release 6.4.1 is available for download now! This version comes with the source code of Tally.ERP 9 Release 6.4.1 by default. However, you will be able to load the source code of any higher version by using the latest SDK provided within 'Support Files'. Address use cases related to web integrations which are able to process request/responses in JSON format over HTTP. HTTP headers frame extended to support user defined headers with GET request. Send GET requests with HTTP headers with 'Export Header' at collection level. As always, you can use 'Tally.Developer 9 Analyser' and 'Version Compatibility Check' for error detection and code comparison statistics between versions. For more details on the capabilities, visit TallyHelp and refer to 'Samples' within Tally.Developer 9 Release 6.4.1. Click here for detailed help about this useful add-on. This add-on is available for download to experience GST complaint transactions. Apply this add-on on Shoper 9 Release 2.23 and above. After running the installer, refer Shoper 9 GST reference guide.pdf available in Shoper application folder. This add-on is available for download to experience data interchange between Tally.ERP 9 Release 6 and Shoper HO SSV. After downloading the add-on, refer the documentation available as a .zip along with the add-on. your industry. Install and try the trial version for free. Tally.ERP 9 works on any computer that has Windows XP-SP3 or later installed. (It is also supported for Windows XP-SP2 64-bit Operating System.) To install Tally.ERP 9, you need the Create, Write, Update, Modify and Delete permissions and 150 MB of hard disk space. However, depending on the size of your data, you may need more hard disk space.